Brayden Sipple of Blanchester was named to the third team Division III All-Ohio boys basketball squad by the Ohio Prep Sportswriters Association. Blanchester’s Brayden Sipple was named third team Division III All-Ohio Tuesday by the Ohio Prep Sportswriters Association. 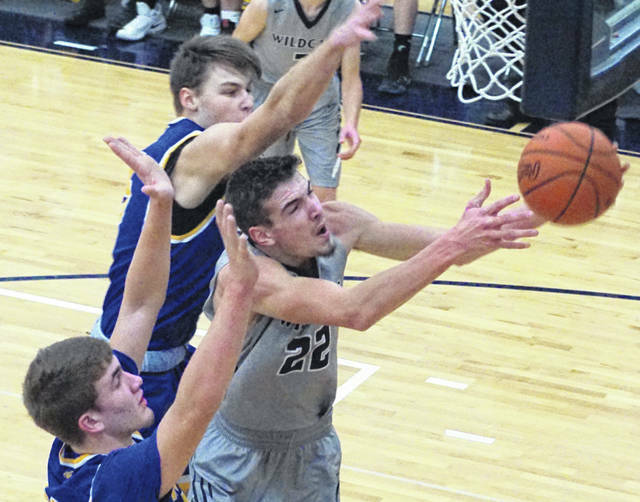 Sipple, only a sophomore, averaged 25 points per game for the Wildcats this season. He grabbed 8.5 rebounds, came up with two steals and dished out two assists during the regular season. The 6-4 guard made 44 percent of his field goal attempts and 70.8 percent of his free throws. He was 32 for 109 beyond the three-point arc. A prolific scorer, Sipple has 1,098 career points and is third all-time on the BHS career points list, trailing only the legendary Bob Jacoby (1,120 points) and leader Todd Lane (1,124 points). Both Jacoby and Lane are members of the Clinton County Sports Hall of Fame. https://www.wnewsj.com/wp-content/uploads/sites/22/2019/03/web1_BBK_blan_BraydenSipple2MEcne.jpgBrayden Sipple of Blanchester was named to the third team Division III All-Ohio boys basketball squad by the Ohio Prep Sportswriters Association.